Pawel Wos is responsible for Business Development at Distribusion Technologies, GDS for intercity buses. He is establishing business relationship with bus operators and bus ticket resellers from Eastern Europe and Spain. 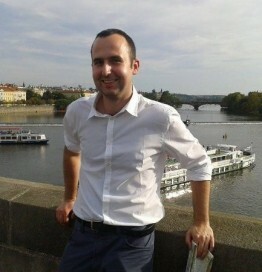 Pawel holds a Master’s Degree in International Economic Relations from Warsaw School of Economics. In the world’s first GDS, Distribusion connects the travel industry with intercity bus operators all around the world. The Berlin based travel tech startup already operates in 20 European countries and provides the rides of more than 160 intercity and shuttle bus companies to 3.500 travel agencies and dozens of online resellers. For bus operators, Distribusion provides a full booking solution including ticketing, payment, billing and encashment.